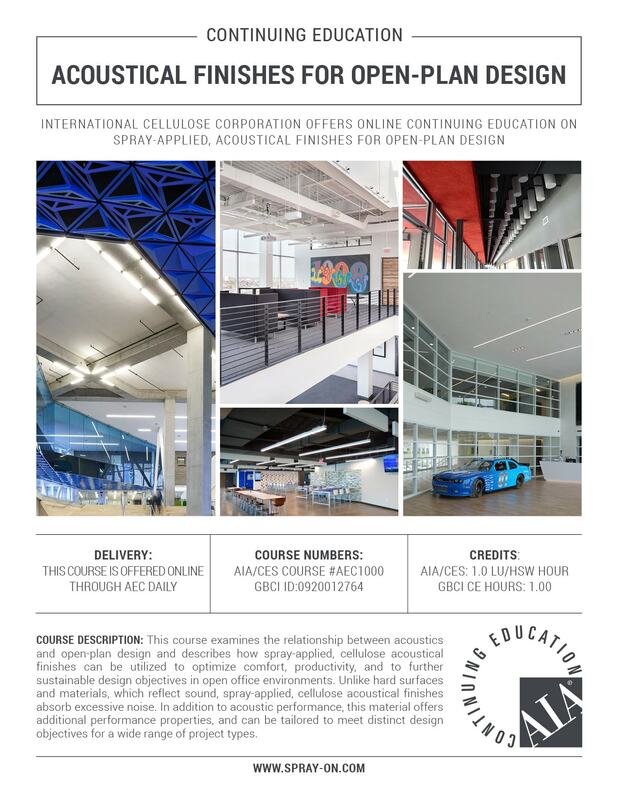 International Cellulose Corporation offers free continuing education on the subject of acoustical finishes for open-plan design. This engaging Online course examines the relationship between acoustics and open plan environments. While easily overlooked in the design phase, acoustics play an especially important role in creating functional workspaces. Unlike hard surfaces and materials which reflect sound, spray-applied acoustical finishes absorb excessive noise. In addition to acoustic performance, spray-applied finishes contribute towards the creation of healthier indoor environments.